Hand tufted, dust mite resistant, back support. Memory foam (25mm deep) to full sleeping surface of pillowtop. 16 vents and 8 handles. 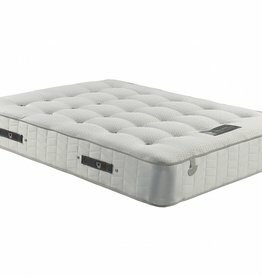 Mattress depth 37cm. Natural 1000 wool superb quilted mattress - double. The 1000 Wool Superb quilted mattress combines the finest natural fillings with the superior support of 1000 pocket spring. 1000 Pocket springs. Luxury cotton fillings. 3cm Super soft foam. Non-turn.